Shopping for Super Mario Bros. Vinyl Figures? 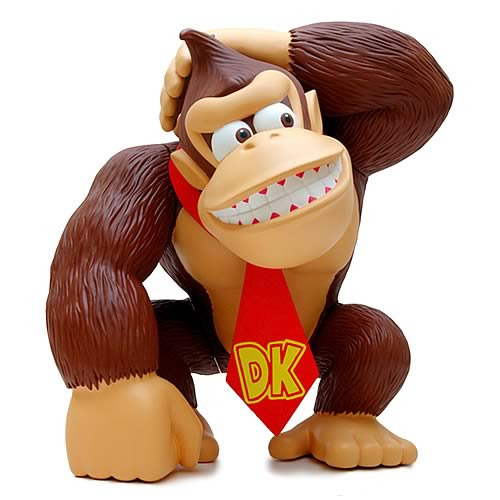 Hilarious vinyl figure of Nintendo's biggest ape. Donkey Kong is colorful, comical, and collectible! Formerly a retailer exclusive! Hero? Villain? It doesn't matter! Take home Nintendo's biggest ape with this colorful, comical Donkey Kong Vinyl Figure that stands approximately 12-inches tall. He'll bring you a grin and look great in your collection, no matter how you side!